Monday – Ran an easy 4 miles before work. Tuesday – I had the option of a hills treadmill workout or a plyometric workout video plus 30 minute easy run. I chose the latter and and had a great sweat session doing Plyo Fix Extreme with hubby and then ran 30 minutes easy. Wednesday – My scheduled workout was to run an easy 30-35 minutes. I ran one of my normal loops and it ended up being 31:32 min and 3.36 miles. Thursday – Workout was 1 hour easy and then finish with 5 minutes at moderate pace. Felt pretty good and finished strong. I ended up running 7.0 miles, avg. pace 9:18. Afterwards I did a Running Efficiency Workout which consisted of Lateral Bounding for 30 seconds, 16 reps of Split Squat Jumps, and Single Leg Box Jumps for 30 sec. Then I did what I could of Insanity Max:30’s Ab Attack, a 10 minute workout. Friday – It was hard getting up that morning but got it done. Ran 3 miles easy, 4 x 20 second strides with full recovery and then 2 miles easy. Saturday – Easy 12 miles. I had a rolling ankle scare about 4.5 miles in. I was distracted and looked to the side and didn’t notice a dip from a drain thingy and I rolled my ankle. Thank goodness it was fine and I was able to continue running! Sunday – Rest day. Total miles = 35.63 miles. It was a good week of running and I’m so glad the ankle roll wasn’t serious. It was a little warmer in the mornings and it was hazy for a couple of days due to the fires in Canada. I didn’t realize how bad the air quality was on Thursday when I ran..oh wells. By Friday it was better and fine on Saturday. I’m just glad the 100+ degree weather is gone for now. As for the rest of the week, we went to the coast on Thursday, the hottest day of the week. The coast is much cooler and we ended up going to both Seaside, OR and Cannon Beach. Fun times 🙂 . I brought some Health Warrior bars which make for a great beach snack. 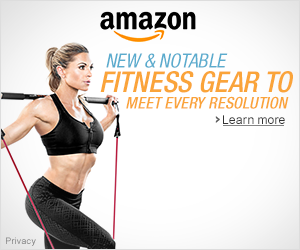 You can use code: happyrunningmom130 to save 30% off at the health warrior shop online. On Saturday we had some Hawaiian shaved ice. It was the first time I’ve had it…so good! It was nice that they had natural flavors too. I liked the strawberry flavor. Have you tried Hawaiian shaved ice? How’s the weather by you? How’d your week go? Any races coming up? 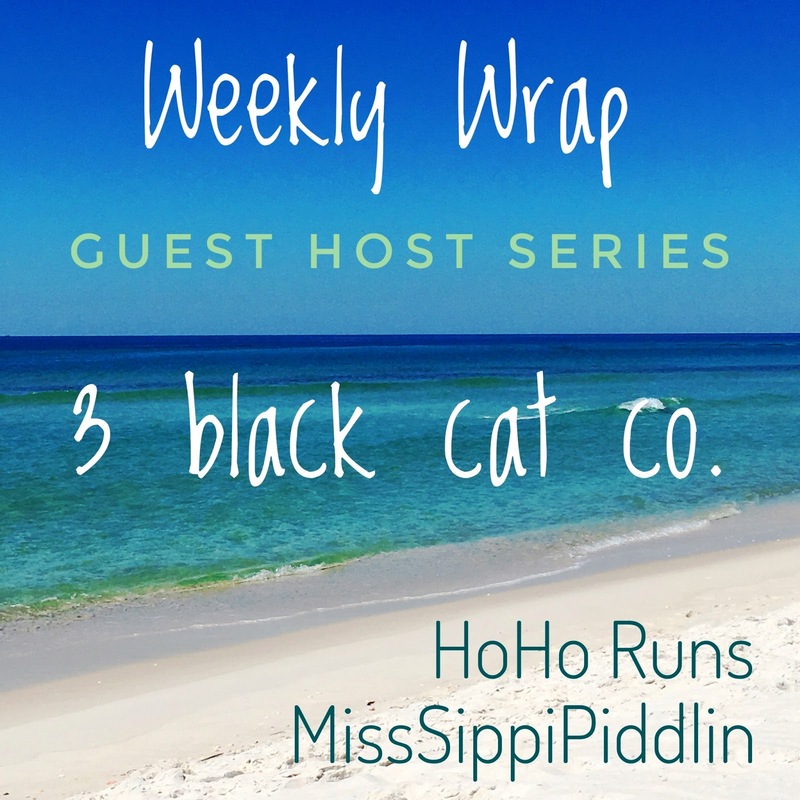 There’s a new Guest Host Series for the Weekly Wrap to give Holly and Tricia a break and this week’s host is Heather @ 3 Black Cat Co.
Nice job with your training! Glad your ankle roll wasn’t serious…I had a short run yesterday on a trail and I turned my ankle a couple of times…so frustrating! I’ve never had Hawaiian shaved ice but it looks amazing!! I need to find some! Thanks Janelle! It is frustrating. Hope your ankle is fine. Great week, minus that rolled ankle scare. Thank heavens it didn’t turn out worse! I am in love with those HW bars. I’ve lost count of how many times I’ve reordered them. Thanks Marcia! Yeah, so glad my ankle is fine. Me too! I’m already through a big box of mango chia bars. Congrats on another week of training! Sorry you had to deal with the tolled ankle scare! I always love reading about your weekend adventures too! Another great week! Glad your ankle is ok! Cool that you all went to the coast and visited both Seaside and Cannon Beach. Love haystack rock! Shaved ice is yummy! Nice week. Whew! Glad that ankle roll wasn’t an issue. That heat is insane. I’m not sure I’ve had Hawaiian shaved ice before but there is often times an Italian shaved ice wagon at the local races. I wonder what the difference is? Thanks Holly! I’m not sure what the difference is. Shaved ice would be nice after a Summer race! That Hawaiian ice looks amazing – I’ve never had the chance to try it but it looks DELICIOUS! I’m SO glad your ankle roll wasn’t serious. I was running on a new-to-me trail and only a quarter mile into my run, I rolled my ankle and I couldn’t continue on (thankfully I was only a quarter mile from the car). The weather this last week has been very rainy and led me to doing a lot of indoor training – or sitting on the couch – whoops. Thanks for linking up! Thanks Heather! Sorry to hear about your ankle! Hope it’s better! Fantastic week, glad no serious consequences came from the ankle roll. I have done that so many times and there is always this moment where you brace yourself hoping it isn’t bad! You had a strong July! Thanks Karen! Yes, that moment is always there! So glad it was ok! Almost 124 miles in July??? Holy cow you are a running machine! I am struggling to get in a disappointing 60! Those snow cones look amazing, I can’t even remember the last time I’ve had one!